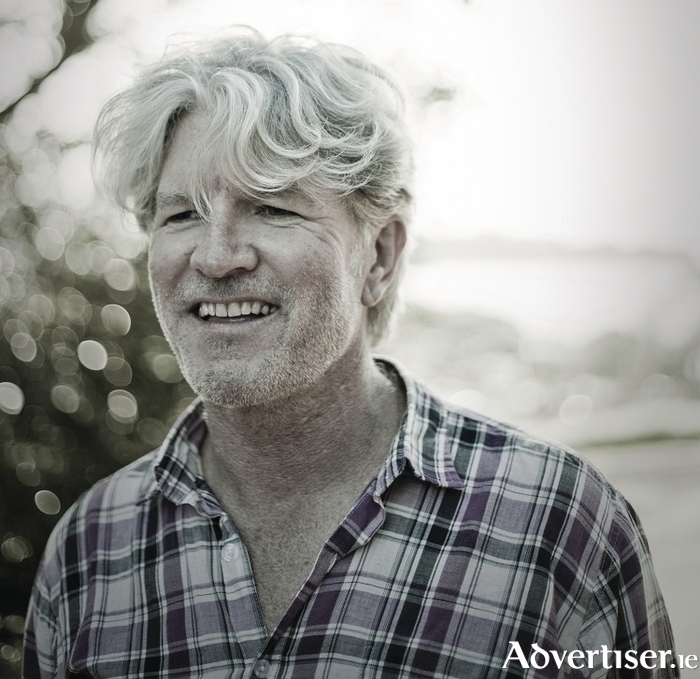 Forty years in the music business, one of New Zealand's most celebrated singer-songwriters, Tim Finn will perform at the Galway International Arts festival for the first time. The 63-year-old will bring his new collaboration, White Cloud, to the intimate surrounds of the St Nicholas' Collegiate Church for two nights - a show which in many ways is a return to his Irish roots. White Cloud may be derived from the the Maori name for New Zealand Aotearoa - land of the long white cloud - but at the centre of the production is Mary, his Limerick-born mother who emigrated to New Zealand at the age of two, and who brought with her the traditions of music, song, and prose. "There is a lot of mum in there, " he acknowledges - not least the show's artwork which features a photo of his mum taken on her honeymoon, aged 26. The production was crafted by Finn and fellow Kiwi playwright Ken Duncum and, with the expertise of filmmaker Sue Healy, it is one Finn believes will resonate with Irish audiences - its emphasis on connections with family, love, and loss. "It started out as a exploration of identity - Ken is a fifth/sixth generation New Zealander and my mum was born in Ireland, so were able to combine various memoirs and journals. At first I wasn't sure until I started looking back at old photographs. I think anyone who looks back at family through fresh eyes begins to discover stories, so this is about being a New Zealander, but from an emigrant family." As a child growing up in the fifties and sixties, Finn's father provided him with a rich treasure trove of memorabilia through the old 8mm films which have been "poetically" interwoven with his own songs. "It's about being human, it's about love and the ones you have lost - turning up to a family gathering and raising a glass to the ones who are no longer with you. Yes, it's a story about being a New Zealander, but being an emigrant family from England and Ireland, and Scotland. "There is nothing too overt about New Zealand - the show moves between different moods, and it is very much connected with the idea of family and loss. The thing in Ireland which is different to New Zealand, is that Irish people know who they are. New Zealand has this thing about identity, who we are. We use the Maori word Pakeha, which no one really knows what it means." "The idea of mother became important - motherland, mother tongue, the many ways mother is used. I was thinking about it in Auckland when we first started talking about the production and I was out walking when I looked down on the ground, and there was a 20p Irish coin, I was sure it was mum telling me to get on with it. So when Galway came up, there was no way I could say no. There would have been a clap of thunder heard all around Auckland." It is, however, a production Finn could not have written when he and his group Split Enz took New Zealand by storm and went on to become the country's much-loved musical icons "Back then when growing up in New Zealand, I couldn't wait to get away from the little town of Te Awamutu, and explore the world. I was always looking forward and it took me many years before I could look back," he says. Auckland University provided the catalyst for his career in music when Finn and a group of students formed Split Ends - changing to Enz to reflect their origins as they headed to London and Australia to make their name. Zany and theatrical, their music was as much about performance as it was music. They played in theatres rather than pubs in Sydney, and, with their outlandish outfits, hair and make-up, they were not everyone's cup of tea. "We were always into performance, and how to make it visual, how to come onto a stage. A friend reminded me recently about a show we were doing in Sydney supporting Lou Reed and he never forgot it, because there was this bunch of people on the stage who were dark and moody, and then we came on. But we did take ourselves seriously, it was about trying to walk that fine line." With a small cult following, Split Enz pursued their dreams, buoyed by their faith in each other. They kept going strong for some 12 years with Finn's younger brother of five years, Neil, also joining and then taking over as lead singer when Tim left the group to pursue a solo career. Neil later formed the successful Crowded House, and when he asked Tim to join, the two wrote the successful album Woodface. Along the way the two talented brothers have gone their own ways, but continued to collaborate on albums and performed together - most recently with Neil's son Liam. "Part of the magic is that we were not a brothers' act, but we do our own thing and every few years come together and write a a few songs and it is really special. We can dip into the same pool of memories, and something amazing will come out that none of us could have done on our own." Still today songs by the Finn brothers' bands Crowded House and Split Enz hold their own - recently taking the top five spots in a poll of the best Melbourne tunes of the past 40 years - 'Don't Dream It's Over' and 'Four Seasons in One Day', and the trio of Split Enz singles, 'I Got You', 'Six Months in a Leaky Boat' and 'I See Red'. Finn went on to carve a successful songwriting career Down Under, during which time he enjoyed a much publicised relationship with actress Greta Scacchi. Now married to New Zealand music television presenter Marie Azcona with two children, Finn's musical direction has continued to evolve. "Our kids love it, and they look in the drawer and sometimes fish out something - a poster or old vinyl, or even the old OBE medal which is in the back of one of the drawers, and they see this letter from the Queen, and they said "What" , they can't believe it, but there is no obvious evidence of my musical career. I don't put up gold records on the wall. I always had this onwards, onwards, onwards thing and never looked back, but when you have kids, you do suddenly think, 'I wish I had kept some of the old T-shirts or photographs', so we have collated a bit of the the old stuff." Unsurprisingly both children Harper and Ellie are "great singers" who play instruments and they feature in several videos, including the delightful 'Out of this World' filmed in their own back yard. "The music has come through our Irish connection. Neil and I grew up with music as part of our landscape - with Conor O'Brien playing the piano in the corner and singing 'Galway Bay' on a Friday night. As children we grew up loving that feeling. We had records, but there was always live music going on." Now Finn is "writing more than ever". "For me it is something I have refined and loved even more as the years have gone by. Yes, I am more a songwriter, but my own voice probably embodies the songs better than anyone else could, although there have been some interesting covers over the years. I think the sound of my voice is the sound of my songs, but I guess the idea of being a songwriter is paramount.